This year I decided at the last minute to participate in the Coffeeneuring Challenge – where cyclists visit 7 or more “coffee shops” (or tea, or cider, or hot chocolate, etc.) in 7 consecutive weekends. Participants are encouraged to select a theme of some sort, and after a few moments of deliberation, I decided mine would be “coffee beer.” Each week I will be visiting a local brewery and sampling one of their ales infused with (preferably locally procured) coffee. 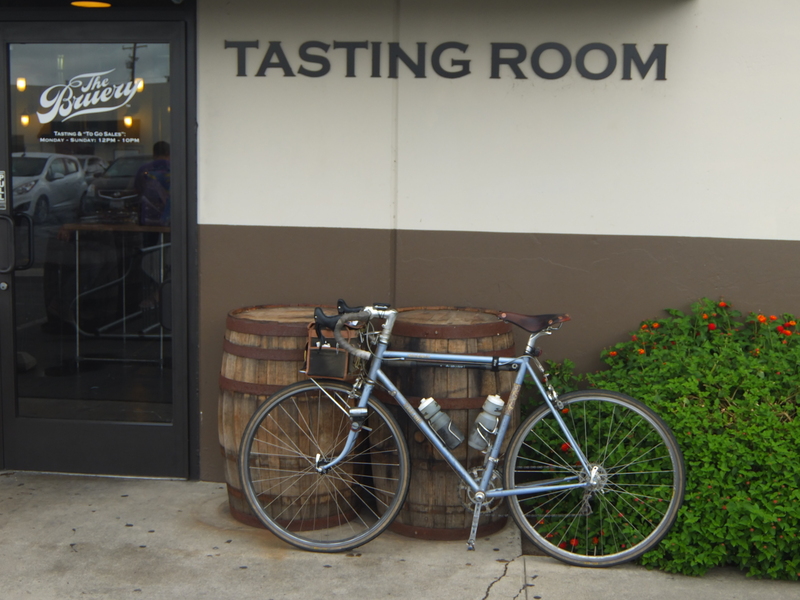 For the initial week, I rode down to Placentia, home of The Bruery. I remember visiting for the first time in 2008, standing in line for 3 hours to buy bottles of “Black Tuesday” – their entire operation only occupied a small corner of an industrial building…now, they’ve expanded so much, their production takes up the entire block. Happy to see their continued success. I got there in time to take the 1PM tour, but I skipped it since I didn’t want to leave my bike unattended (they have racks, but I didn’t bring a lock or any friends to watch our steeds). 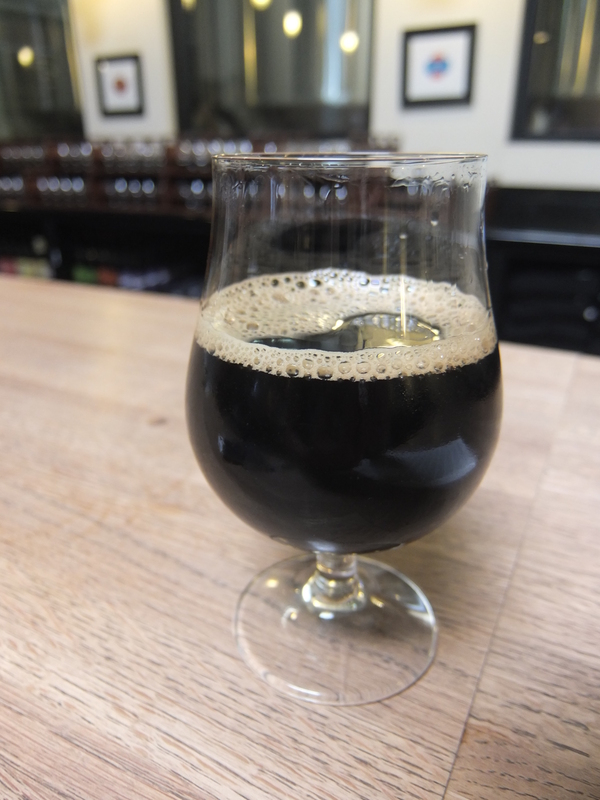 After 3 1/2 hours hammering through (light) rain and hail, I had developed a thirst – while all of the sours on offer were particularly tempting, I was here to try a glass of their “Coffee Smoking Wood” – which at 13%ABV was a meal in itself. Read my review here if you wish. I should have taken more photos – the mist up in the San Gabriel Mountains was quite a sight, and the water-fowl (plovers, coots, gulls, mallards, herons, etc.) was plentiful in the LA River. With temps in the 60s for most of the day, it almost felt like Autumn (though I expect we’ll be back up to triple digits by next weekend as the Santa Ana winds pick up), and the seasonal decorations (from skeletons to scarecrows) were starting to pop up in Burbank, San Marino, and Monrovia.